Now the publishing house is giving you your own selection of affirmations with A Little Box of Joy. 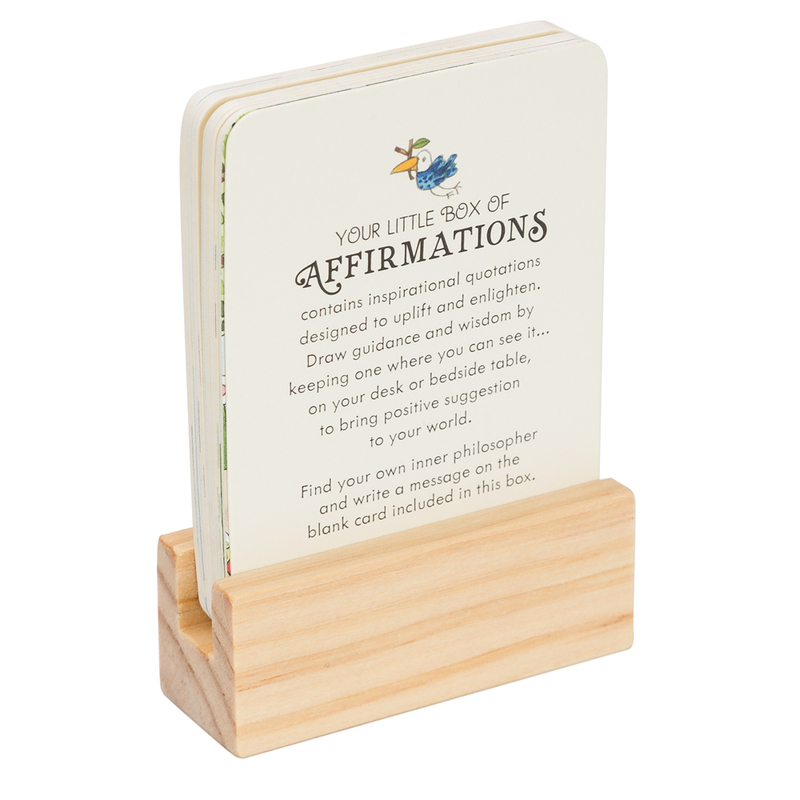 This tiny box is filled with twenty-four cards, each one printed with an inspirational quotation designed to uplift and enlighten. There’s even a blank card inside so you can write your own message and discover your inner philosopher. Contains twenty-four cards, each one printed with an inspirational quote. Quotes range from Charles Dickens to Oscar Wilde. Includes an additional blank card so you can jot down an inspirational quote of your own. Comes with a small wooden stand for you to display your cards. Presented in an Affirmations gift box. Box Dimensions: 8cm (l) x 3.2cm (h) x 11.5cm (w).